Frida Cardoza was born and raised in the unincorporated community of Oro Loma, CA. She moved to Fresno and earned a Bachelor of Science degree in Recreation Administration with a certificate in Humanics in May 2016, and completed the prerequisites for the Master of Public Health program at Fresno State in May 2017. 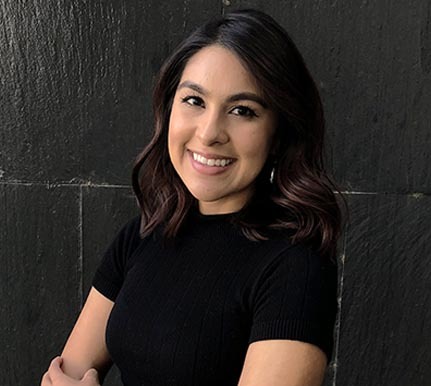 Prior to her current role as Community and Regional Planning Center Coordinator, Frida served as a Student Assistant for Office of Community and Economic Development from 2016-2017. In this role, she relied upon her comprehensive knowledge in recreation administration to assist with all outreach, promotional materials, planning and administrative tasks for: the 2016 San Joaquin Valley Parks Summit, the Sustainable Parks and Recreation Community Initiative, and the 2017 San Joaquin Valley Recreation Summit. In her most recent role, Frida served as Underwriter Administrator for Employers Outsourcing Inc.’s Workers Compensation Department. As the CRPC Coordinator, Frida is responsible for planning and implementing capacity-building activities for the Community and Regional Planning Center and the San Joaquin Valley Rural Development Center. Frida also provides administrative support to the San Joaquin Valley Housing Collaborative, a regional 501(c)3 nonprofit organization.